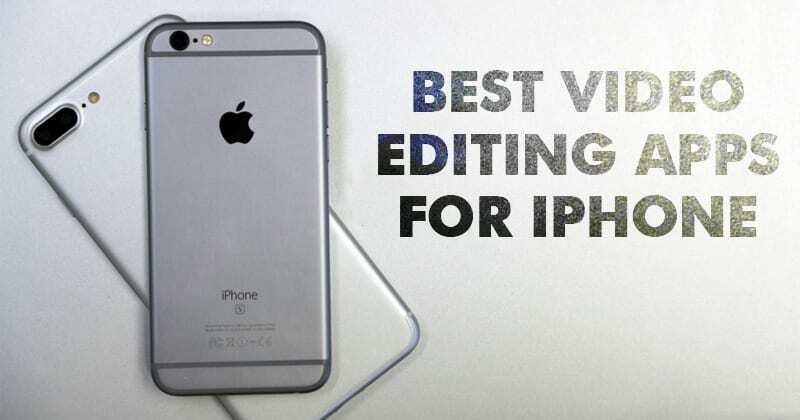 Time to download the best video editing apps for your iPhone to make any video perfect according to your desire. Today we will share a list which contains a few apps that will let you edit your long and dull videos just on your iPhone itself. Just have a look at the list of apps discussed bellow. Sometimes in iPhone, we need to edit some videos and at that time you might need some handy applications which will let you edit your videos as nobody wants to watch that 30-minute long video of your cat being mildly entertaining, or even that minute-long clip of a drunken friend who falls off of a chair. So, today we will share a list which contains a few apps that will let you edit your long and dull videos just on your iPhone itself. Yes, with the help of these apps you don’t need to turn on your PC and then find one app to edit videos. We have selected some of the best apps that work perfectly and are arranged according to the user ratings, reviews, download rates and some of our personal experience. So have a look at these apps below. This is one of the best video editing apps for your iOS device that has very positive user ratings and reviews. 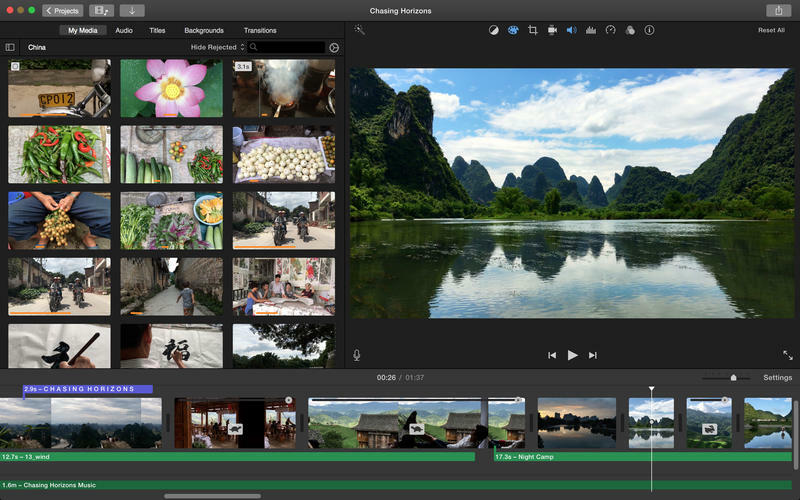 iMovie is one of the most popular video editing apps for iPad. It lets you carry out some simple video editing tasks and apply a range of different video themes. Magisto is the best video editor and movie maker used by millions of users. 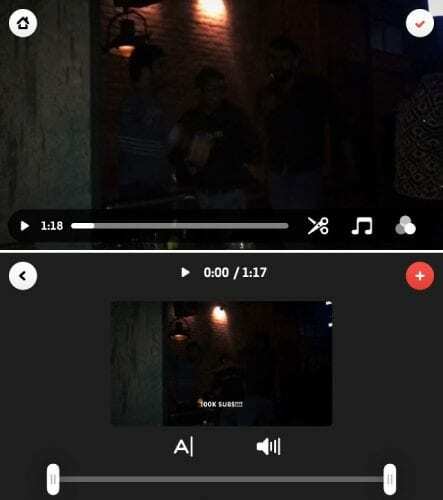 This app automatically turns your photos and videos into magical video stories that you’ll want to share with friends and family and anywhere in this social world. So must try out this cool app in any of your iOS device. This is another best app that helps to modify clips according to your wish. It lets you quickly Trim, Merge and Crop clips, Add Subtitles, Photos, Text, Pick Transitions, Add Music And Recordings, and Export your video clips. This tool is very easy to use and is used by lots of users in their iOS device. The fast and easy to use video editor that lets you TRIM, MERGE, and SHARE your video clips. And also there are more features in this app that you will come to know after installing this app on your iOS device. This is one of the best apps that is just perfect for mobile journalists and creative filmmakers. 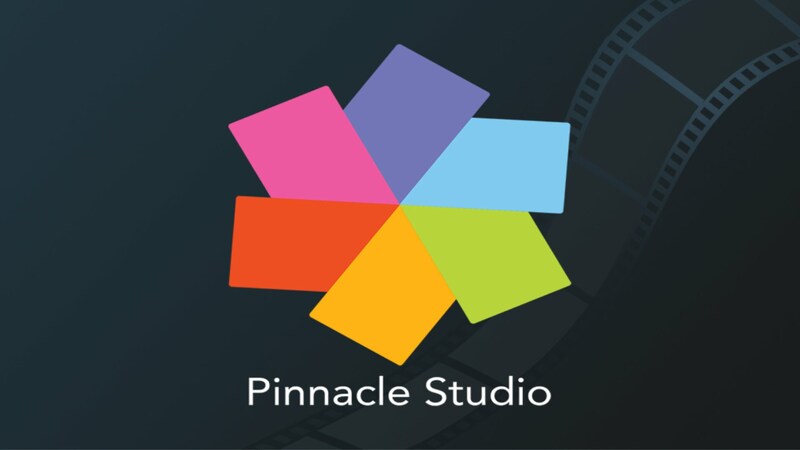 Also in big-screen moviemaking comes to the touchscreen with Pinnacle Studio app on your device. So must give a try to this cool app in your iOS device and have fun to edit your favorite clips on your iPhone professionally. 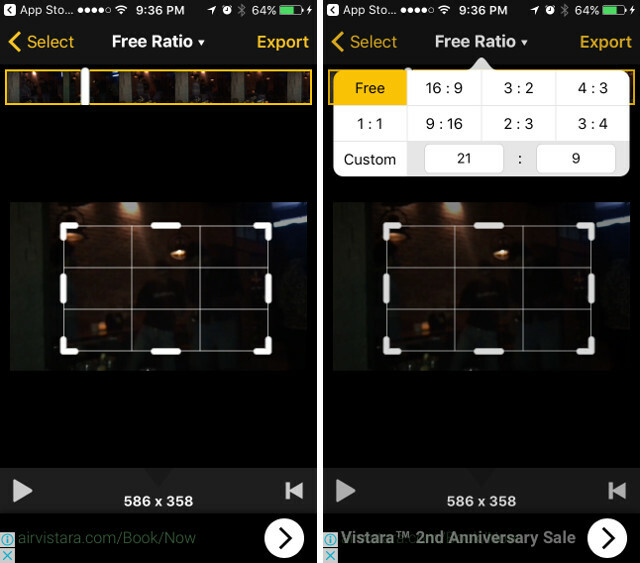 Videocraft is the complete multi-track video editor, photo story and movie maker app. All features need to combine video clips and photos with songs, sound effects, voice recordings, images, and text. With a beautiful and simple design, anyone can create and share amazing videos in minutes. 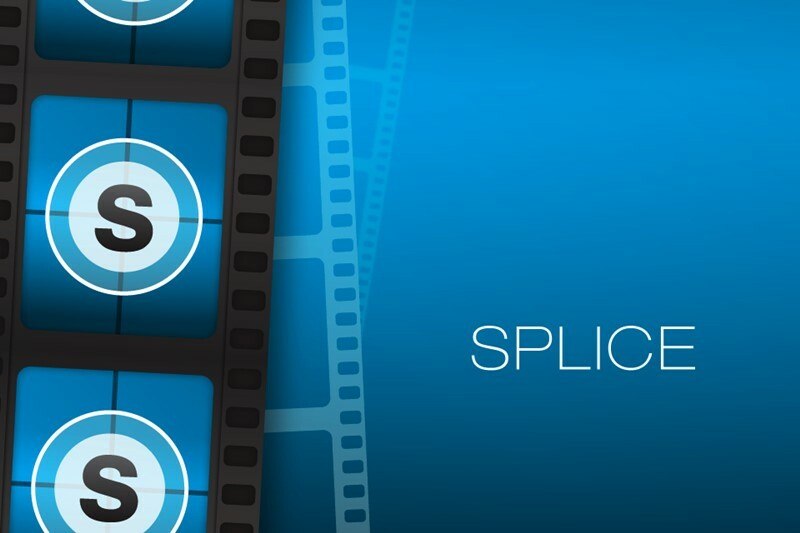 Splice is a simple and powerful video editor for your iPhone. You can easily create videos and slideshows, with no length limits, watermarks, or ads. Includes free songs, sound effects, text overlays, transitions, filters and precise editing tools. Quik is the fastest, easiest way to create awesome videos — automatically. 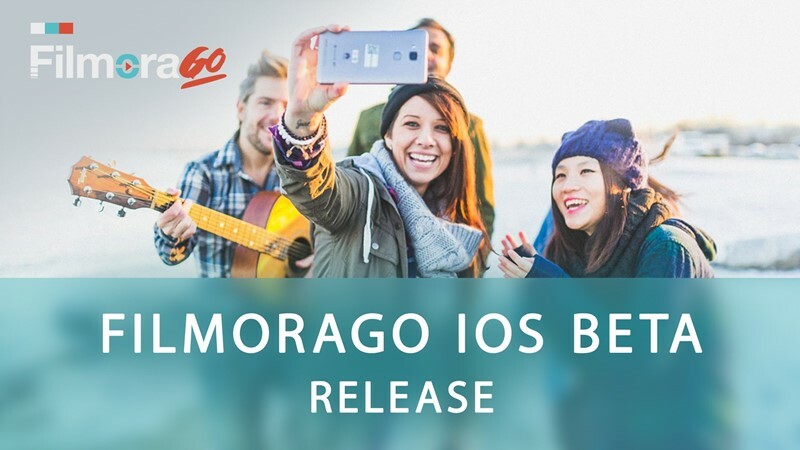 In just seconds, it analyzes your photos and video clips to find the best moments, adds beautiful transitions and effects and syncs everything to the beat of the music. Choose from 28 carefully designed video editing styles. Customize your story with text, music, filters, graphics and more. You can turn your video clips into amazing mini-movies with Clipper. Arrange clips, edit, add music and apply effects in seconds. Then save your masterpiece to your camera roll or share via email, Twitter, and Facebook. It will help you to create the interesting video without doing any hard editing stuff. If you are looking for a powerful video editor application for your iPhone, you should go with iPhone. The app actually lets you perform a plethora of operations on your videos. With Videoshop you can merge multiple clips into one, add tilt-shift to the video and much more. 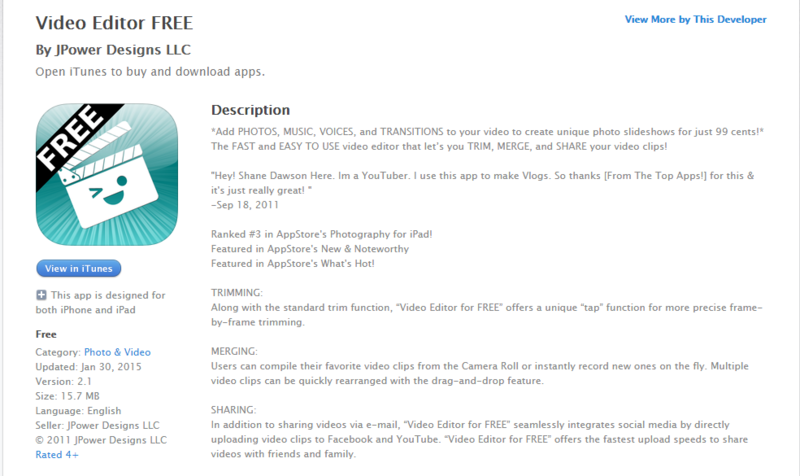 This is another best and good looking video editor app for iPhone which is developed by the folks over at Vimeo. 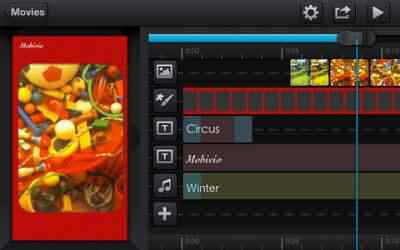 The app provides some good video editing features and it features a clean and intuitive interface. For basic editing, Cameo is the perfect option! Well, this is one of the best and full-featured video editing app that you can have on your iPhone. The great thing about Cute Cut is that it allows users to draw on the videos. 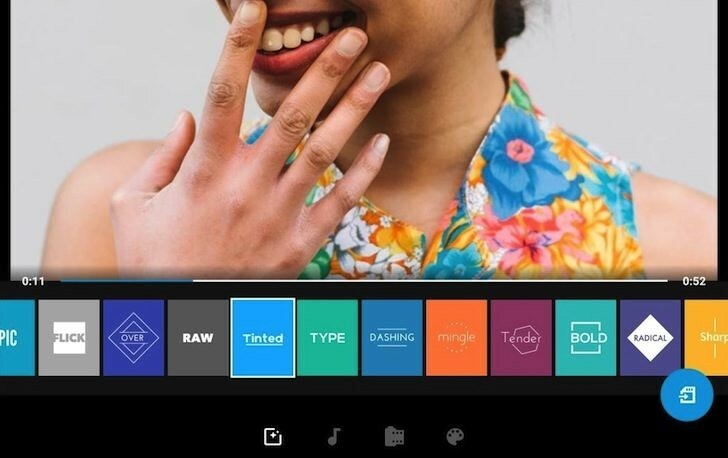 You can customize almost every part of your video using Cute cut. The editor brings lots of textures, effects, shadows, and borders. 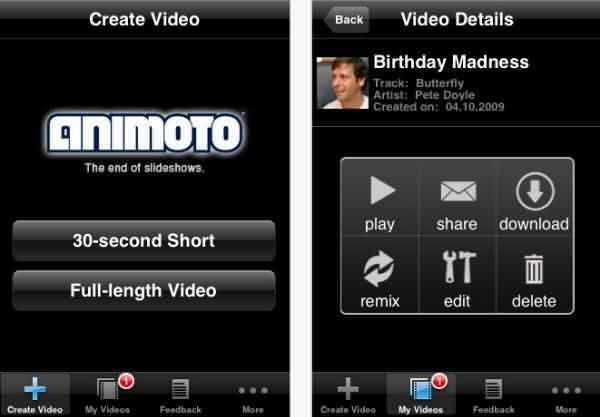 Animoto is another best video editor available for the iOS device. 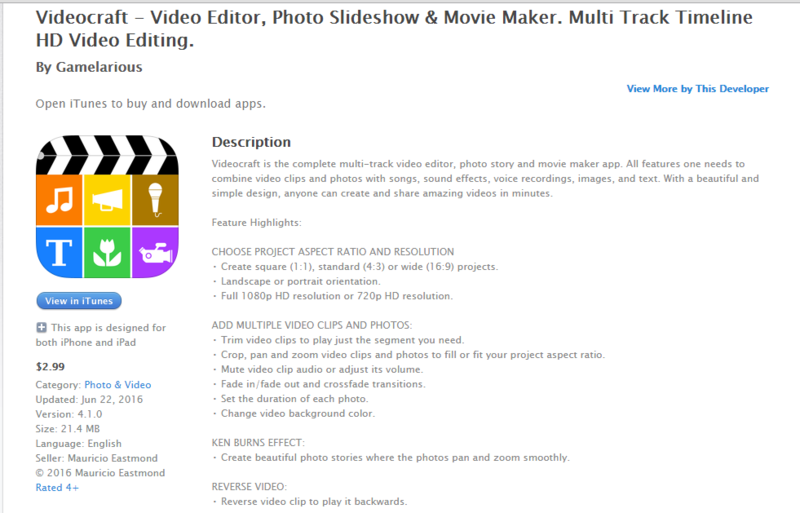 This is basically a video editing tool which comes with lots of features. You can also take Animoto as a slideshow maker because it allows users to create a photo slideshow. You just need to pick the photos, add background music to create an impressive slideshow in just a few seconds. If you love to transform your videos into vintage file style, or if you want to add vintage film effects to your videos, then Vintagio could be a perfect choice. 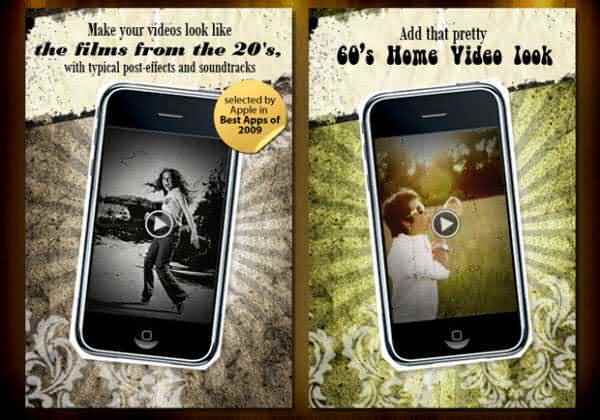 The app allows users to choose various film styles which can transform the video entirely. The app also allows users to add various sound effects in the video. Well, if you are searching for the best video editing app for iPhone that focuses on cropping videos, then you need to try Video Crop. Video crop is one of the best video editing app which you can use to quickly crop the videos. The interface of the video editor is pretty good and it offers a wide range of tools for cropping any video. PicPlayPost is one of the best and most used video editing app available on the iOS App store. The great thing about PicPlayPost is its interface which is pretty well organized. 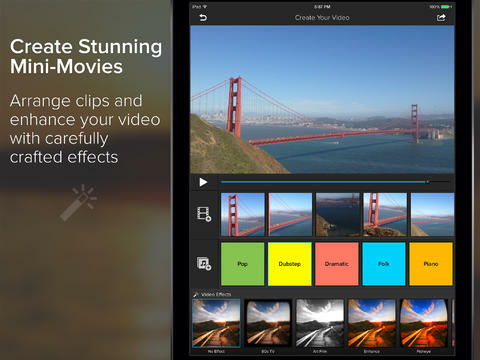 The video editing app for iPhone offers almost every feature that you need for video editing. Not just that, but the video editor is also capable to slow down or speed up any video. 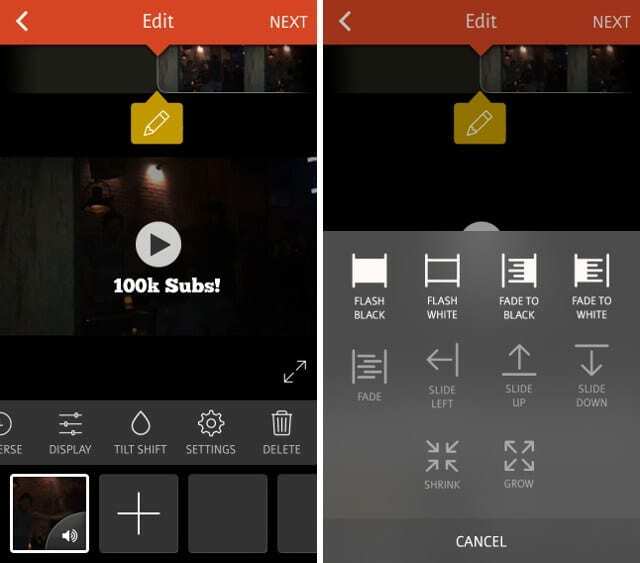 So above is the Best Video Editing Apps For iPhone. 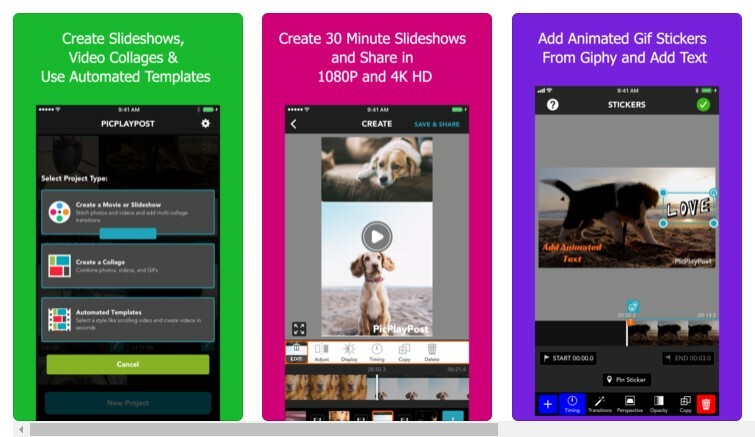 With these apps, you will have better video editing experience in your iOS device and edit your favorite clips. So must try out these apps discussed above and keep on sharing our posts with others too.